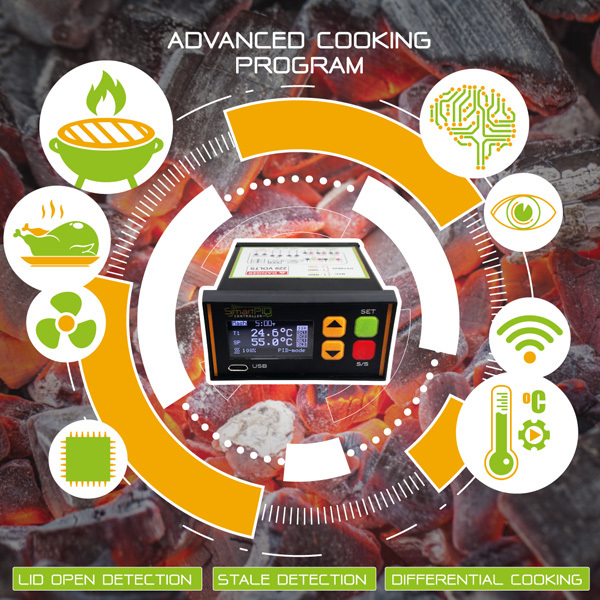 Charcoal BBQ temperature controller has never been so easy and fun thanks to this new specific smartPID application that allow you to grill to perfection controlling both PID and FOOD temperature with PID precision. 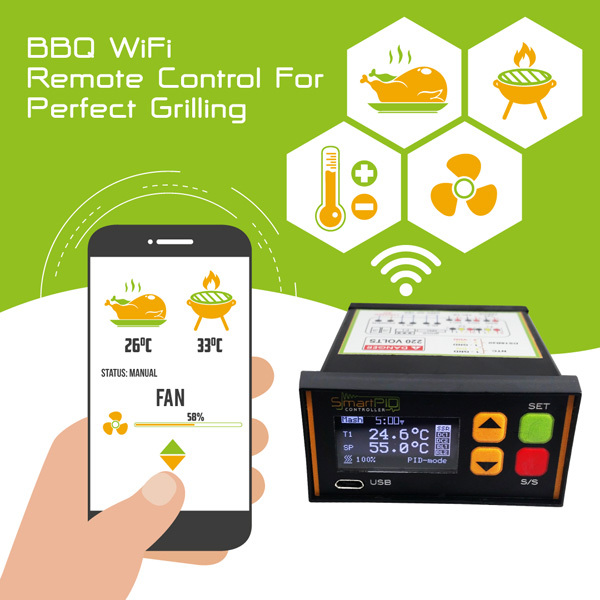 The remote control capabilities allow you can cook delicious meat and fish dishes without the need to control your BBQ day and night and you can enjoy lot of advanced cooking features to become a real pitmaster ! 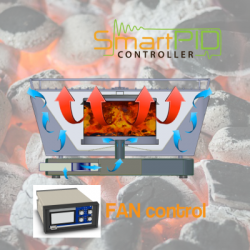 SmartPID BBQ application control charcoal bbq temparature based on a simple principle: mage a blow fan speed and air flow on the charcoal to regulate the PIT temperature. 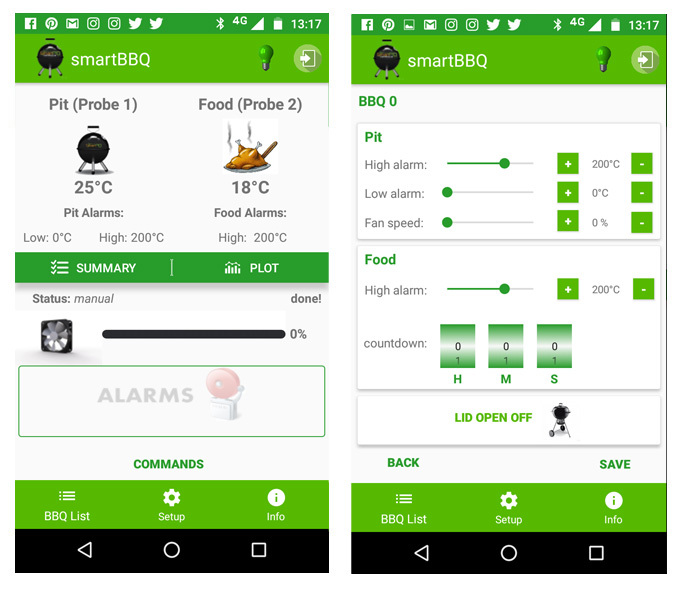 The possibility to connect smartPID to wifi and remote monitor and control your BBQ allows you to watch your football match or have a beer with your friends without the need to physical control your kettle. Alarms and status are notified to your smartphone in real time. Some BBQ recipes require temperature adjustment and in case of slow cooking maybe this can be done along few hours. No problem since you can do everything you do on the controller even from remote via smartphone dedicated app.